Serving artists and arts organizations through real estate development, Tyese Wortham runs Keeping Space – Oakland, a technical and financial assistance initiative, and is the Director of Community Engagement at CAST. Prior to CAST, Tyese honed her social justice lens as a grantmaker in Cultural Equity Grants at the San Francisco Arts Commission, and as a presenter and producer of culture-specific artist populations with the San Francisco Ethnic Dance Festival. Tyese is currently a leadership fellow with the Association of Performing Arts Professionals (APAP) and is a practicing dance artist specializing in the folkloric spiritual and performative African traditions of Cuba and Peru. 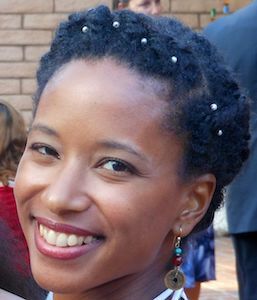 A 2014 Emerging Arts Professionals MADE award recipient, Tyese has been recognized for her expertise as a panelist, consultant, facilitator, and advisor for various Bay Area arts organizations, including Silicon Valley Creates, Alliance for California Traditional Arts, Black Choreographers Festival, and the Isadora Duncan Dance Awards. As a passionate and community-based grantmaker, administrator, artist, and teacher, Tyese creates life balance by nourishing her physical, mental, and spiritual health through dance, yoga, and meditation.